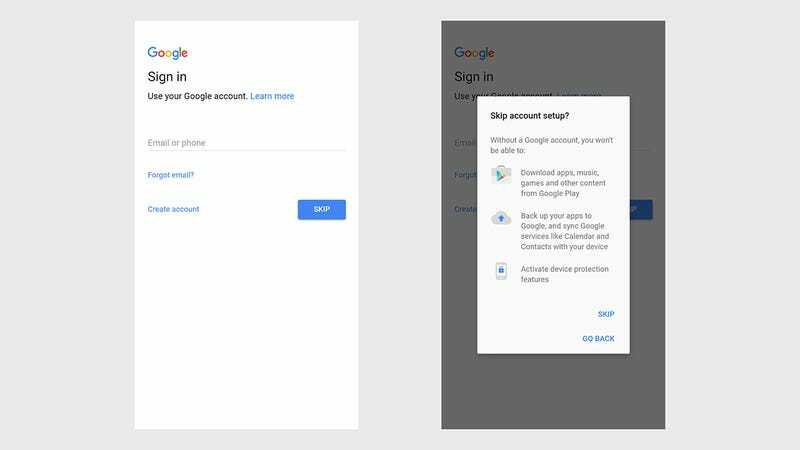 As soon as you start up a new Android phone, you get prompted to sign in with your Google account – but what if you don’t want to do that? 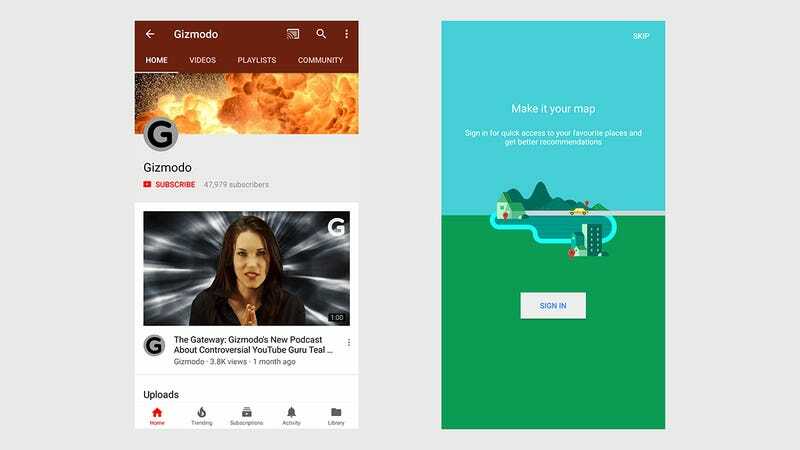 Maybe you want to take advantage of Android but limit what Google knows about you, or maybe you just prefer the alternative apps; whatever the case, here’s how to live a Google-free Android life. Right from the start we’ll be honest and say it’s not easy using Android without Google – but it is possible. If you want a more convenient life, then you need to sign right in when prompted. The big miss if you don’t is the Google Play Store, but here we’ll show you how to get around that and various other obstacles along the way. And... you should then be in. Don’t worry if you see a few Google apps, because they won’t be connected to anything – Google Photos, for example, can work as a local image library manager without actually connecting to the cloud or a Google account. If there are any apps you want to get rid of, long-press on their icon and drag the icon up to the Uninstall link at the top. YouTube works perfectly well without a Google account to sign into, though you obviously don’t get access to any personalised apps or any of your playlists. Google Maps is another app that will work without a Google account if it’s pre-installed, though again you don’t get all the personal customisations. It’s important to note that a Google account handles various aspects of syncing and backing up Android as well, and you’re going to have to hunt around for alternative solutions. You won’t get Google Contacts synced over, for example – fine if you don’t want to use Google Contacts, but you’ll need to get something else in place or build up your contacts list from scratch on the phone itself. And these apps will still want to log data and information about you, even if Google doesn’t. As always, you can manage the permissions an app has (and the data it can therefore collect), up to a point – head to Settings and tap Apps & notifications, then App permissions to see a list and make any changes you deem necessary. 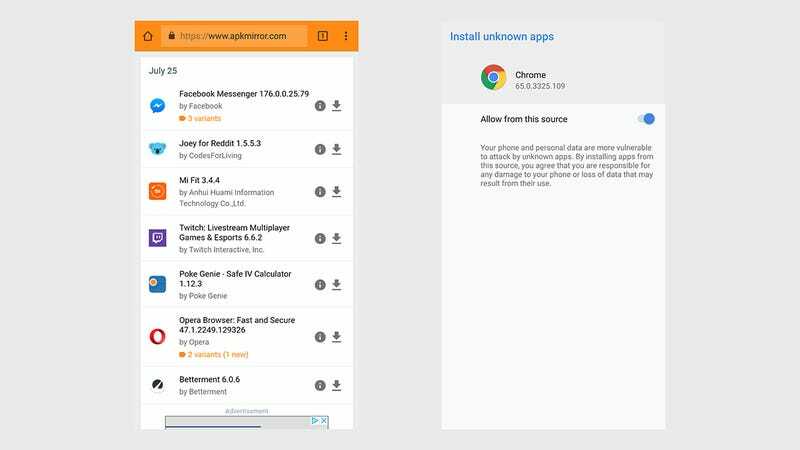 In times gone by you would need to authorise “unknown” apps (not from the Play Store) in Settings, but modern versions of Android ask for authorisation on an app-by-app basis. 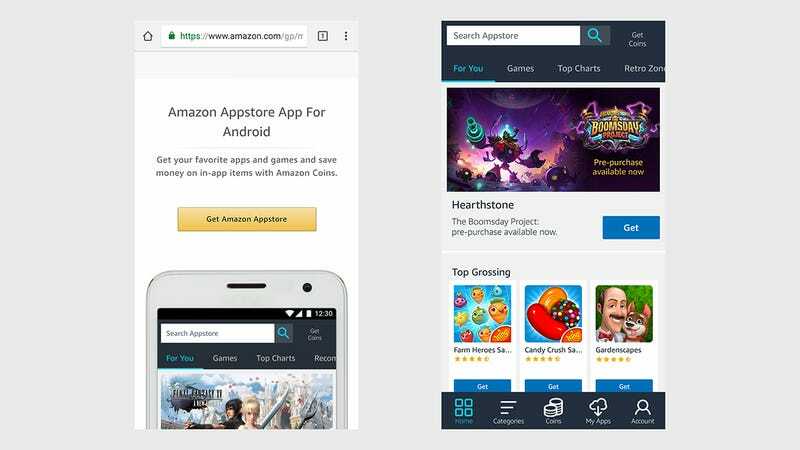 You’ve got two choices here: Either embrace the Amazon App Store, which isn’t as comprehensive as Google’s but has most of the big-name apps, or transfer apps over one by one as you need them from the excellent APKMirror repository. Choose the former for an easier life (including automatic updates for your apps), or the latter for more control over your phone. If you’re taking the Amazon route, go to www.amazon.com/androidapp on your phone and follow the instructions on screen – you will have to confirm that you are ready to risk installing apps downloaded outside the Play Store, and tap through a couple of security warnings along the way. APKMirror is likely to have most of the apps you need, though – as with the Amazon App Store – some of the latest games titles might be missing. 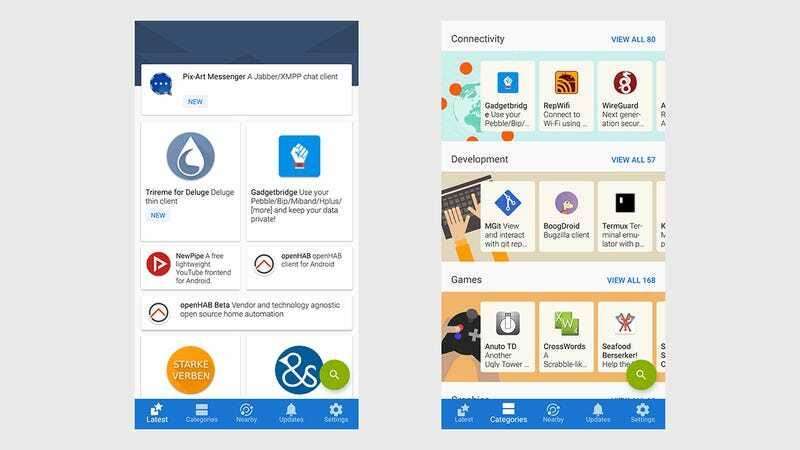 You also can’t download any apps that cost money – these are strictly free apps. 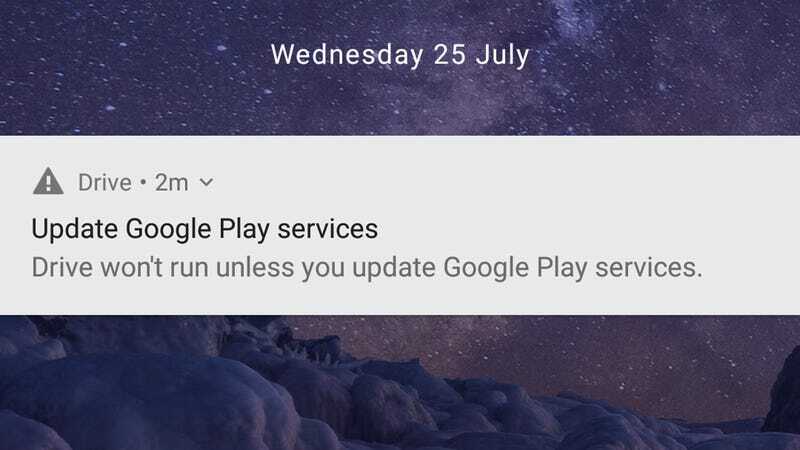 The other disadvantage is that your apps don’t auto-update, so you need to remember to do this manually on a semi-regular basis (APKUpdater is a decent effort at automating this process for Android versions up to 7.1). Alternatively you could go full-on anti-Google and install an entirely new version of Android – something like LineageOS. You’re going to need a device that works with the custom ROM, and the patience and know-how to flash it, but you’ll be left with a completely Google-free phone at the end of the process. 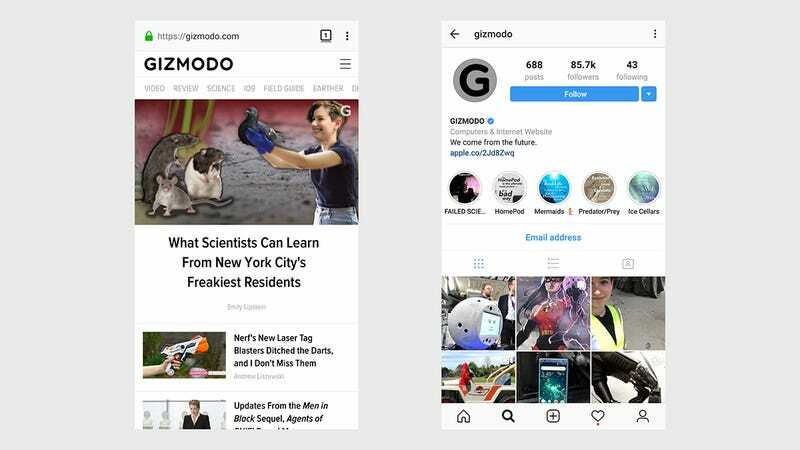 Bear in mind that if you flash an alternative OS on your phone, you won’t have access to Google Play Services, which many popular and well-known apps rely on to work – especially when location access is required. You can add this on top of LineageOS, but that sort of defeats the process of installing a separate mobile operating system in the first place. It really depends on how much time and effort you want to invest and how little Google you want in your life, but you should find something that works for you. Ultimately you can get Android running with little or no Google influence – though perhaps not as easily as some EU regulators would like.